In a move that will open the pathway for future development of Australia’s submarine fleet, ASC has entered a long-term collaboration agreement with French sub motor manufacturer Jeumont Electric. The two companies have a long-standing relationship, and the new agreement will see the pair “exploit synergies in the delivery of services supporting the ongoing sustainment and upgrade of the Collins Class as well as in preparation to support the design, build and test of the main motors for the Future Submarine Program”. 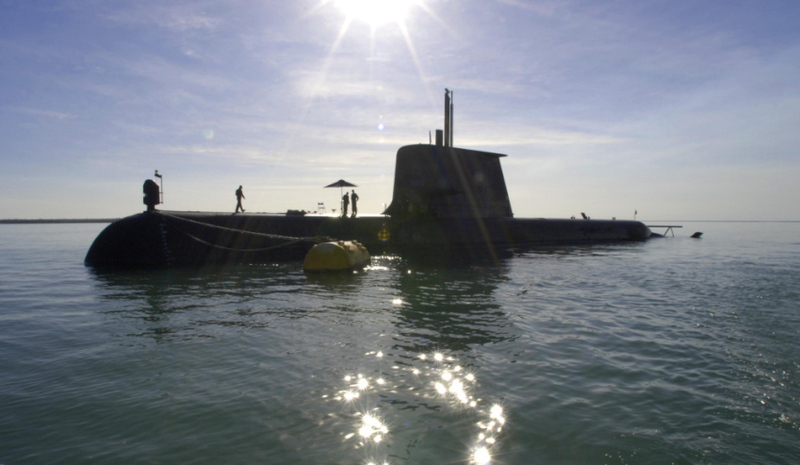 The Royal Australian Navy’s Collins Class submarines are undergoing significant upgrades, including a $230 million upgrade of the sonar technology of the fleet. Jeumont Electric is the supplier of the main motors of the Collins Class submarines, and is also the preferred supplier of the new generation of motors for the Future Submarine Program. Permanent magnet motors will act as the primary drive source for Australia's next generation of submarine motors. Which promise to be quieter, with greater reliability and longer-lasting parts. ASC chief executive Stuart Whiley said his company’s workforce is ready to support future submarine programs. "ASC has the finest submarine platform workforce ever assembled in this country. Our expanded offering will provide our workforce with a rich range of opportunities and professional rewards in the coming years, along with our core responsibility of platform sustainment of Australia’s potent Collins Class fleet," Whiley said. ASC have also recently inked a number of collaboration agreements with Endel Engie and Groupe FIVA (Naval Group suppliers) as well as a submarine design and engineering services supply agreement to Saab Group. ASC serves Australia's naval defence capabilities, with more than 2,500 employees across three facilities in South Australia and Western Australia. Initially established in 1985, ASC was subsequently chosen in 1987 as the prime contractor for the design, manufacture and delivery of the Royal Australian Navy's fleet of Collins Class submarines. In 2005, ASC was awarded the role of shipbuilder for the Hobart Class Air Warfare Destroyer project. These are the most advanced and complex warships ever built in Australia and are being constructed at ASC's state-of-the art shipbuilding facility, ASC South, located at Osborne, SA. Jeumont Electric is a frontline player in the field of on-board electrical equipment for the naval, cruise and merchant marine applications. The range of services offered by Jeumont Electric includes technical assistance (integrated logistics support) for the mechanical, electrical and power electronics parts and long-term support throughout the life time of the machines (over 30 years).